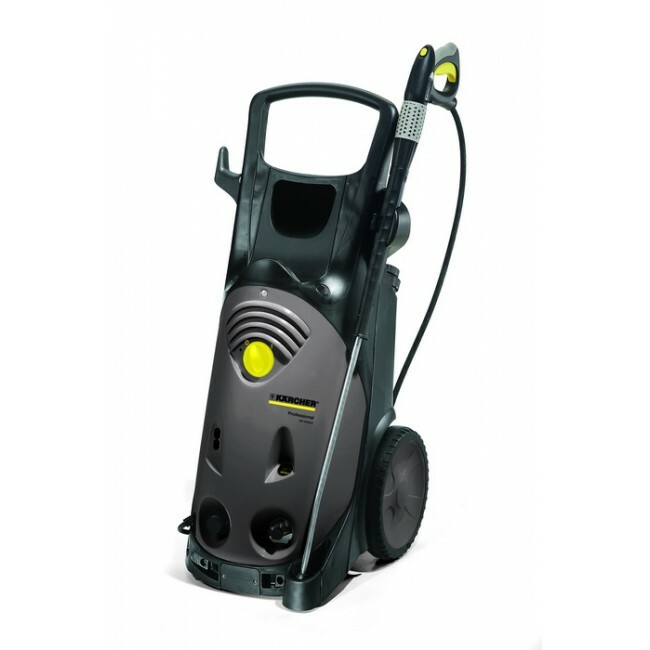 Super class cold water high-pressure cleaner for continuous operation in tough operating conditions. Like the HD 10/25-4 S Plus model but with higher water flow and lower pressure. The HD 13/18-4 S Plus is one of the most powerful high-pressure cleaners in its class. This 3-phase machine has a 4-pole, long-life water cooled motor, robust 3-piston axial pump with brass cylinder head and ceramic pistons, perfect for tough continuous daily applications. Ideal for daily cleaning of machinery, vehicles and buildings with its high water flow rate of up to 1,300 litres/hour and pressure of up to 180 bar. Featuring a dirt blaster nozzle, providing even greater cleaning performance for the most difficult cleaning tasks.